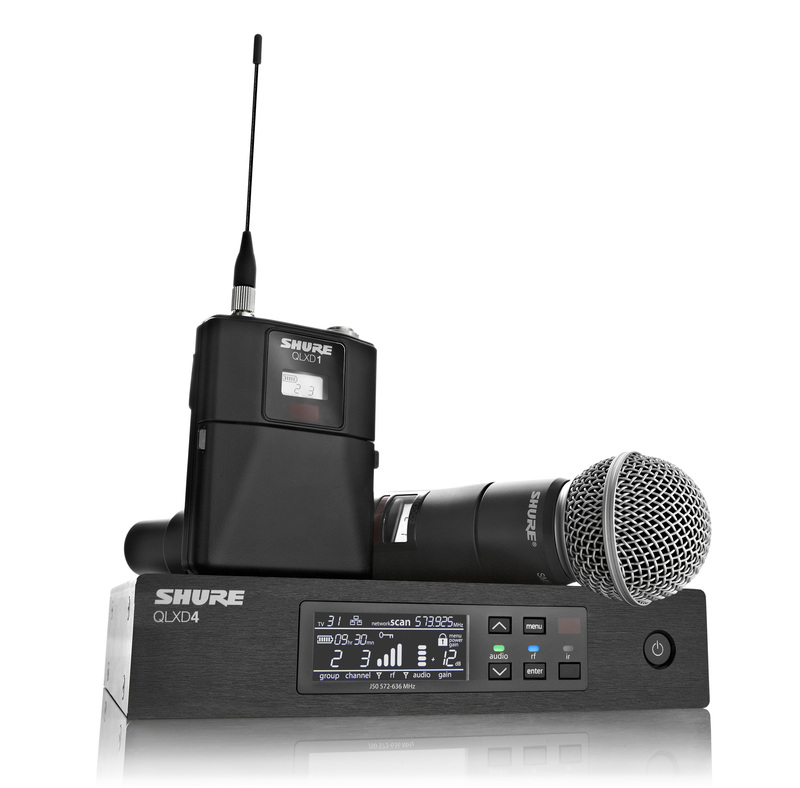 Blitz|GES, the London-based supplier of technical AV equipment to the live event industry, is increasingly making exclusive use of Shure digital wireless microphone technology for its corporate clients, installations and events. Peter Russell, Project Manager at Blitz|GES, explains. "We do a mix of corporate and theatre work; in our theatre work we're obviously led by our clients' preferences. But when the Channel 69 switchover happened, we went over to the Shure UHF-R, with UR1M and the UR4D receivers as our stock wireless systems, and then when ULX-D came out, we bought a lot of those." 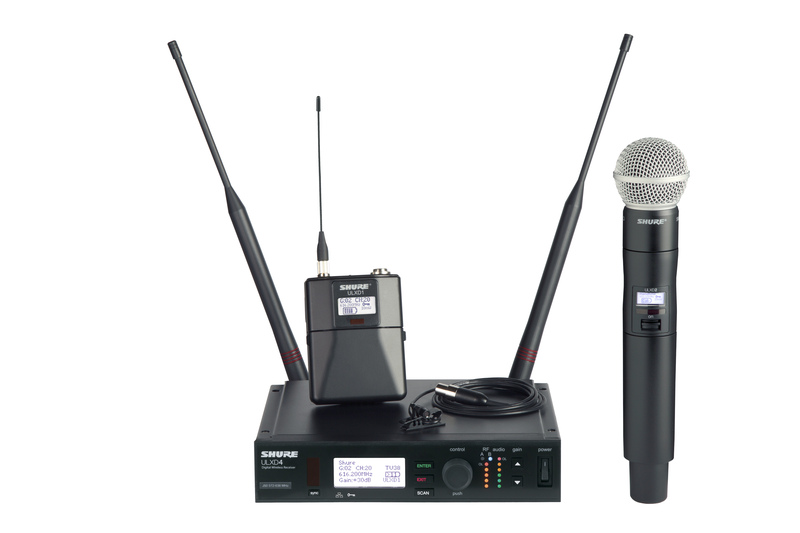 Amongst the company's corporate clients, regular use of wireless microphones is rapidly becoming widespread, and with channel counts that would have seemed unthinkable a few years ago. By way of recent example, Peter Russell has recently returned from Barcelona, where Blitz|GES supplied the audio infrastructure during a large corporate event for a major computing software company. "We were asked to supply microphone systems for over 25 separate seminar rooms for workshops in small groups at the event — breakout rooms, as they're known. A total of 144 channels of wireless were required in the end, for which we used a mixture of Shure ULX-D, QLX-D and UHF-R wireless systems exclusively. We're increasingly being asked to provide channel counts of this size; for example, we're the in-house AV supplier for ExCel in Docklands, who are quite often delivering events that require over a hundred channels." Since the Digital Dividend in 2012, under the terms of which the frequency band previously reserved for use by wireless microphones (Channel 69) was handed over for use by mobile phone operators, the availability (or otherwise) of interference-free RF frequencies for wireless microphones has become ever more of an issue for professional events companies, integrators, broadcasters and the theatre industry. During this period, as smartphone use has increased, the publicly accessible RF spectrum, particularly in urban areas, has been licensed for use by mobile and wireless internet technology to an extent that would have been unthinkable a decade ago. But at the same time, as Peter Russell makes clear, the demand from the corporate, events and entertainment industry for greater use of wireless microphone technology and installations with higher wireless channel counts has continued to rise due to the greater flexibility afforded by wireless technology over solutions based on wired microphones. It's an unfortunate coming together of operational circumstances that puts extra pressure on events companies such as Blitz|GES. "We need technology that allows us to cope with those client demands, often without pre-production or the opportunity to visit a venue or assess its suitability for heavy-duty use of wireless technology, or to perform frequency scans in the area beforehand," explains Peter Russell. "So our wireless hardware has to allow us to reliably operate the maximum number of channels, no matter how RF-heavy the surroundings might be or how helpful the local RF regulatory framework is. In Barcelona, for example, there isn't really anyone you can call, like Ofcom in the UK, if someone is interfering with the frequency that you're licensed to work on. You just have to find an alternative frequency somewhere in the band you're using and work with that. That's why Shure's ULX-D is so helpful, because you can move into High Density mode, and squeeze more channels into the gaps you can find. In these kind of environments, having the Shure kit, which offers high channel density and just works with minimal interference, gives us the confidence to proceed." Despite the raised expectations and increased operational uncertainty, Blitz|GES are finding that their chosen wireless systems meet the challenges — as in the recent Barcelona install, which was further complicated by the lack of opportunity to check out the local RF landscape before the event. "We've provided the wireless systems for this event in Barcelona before — this was the fifth year," concludes Peter Russell, "but it was the first time we didn't have a site visit. We had to go and set up based entirely on our frequency scans from the previous year — and these days, that's a huge assumption to be asked to work with, as the availability of RF in an urban environment like Barcelona is changing by the hour! But fortunately, thanks to our Shure hardware and Wireless Workbench software, everything went well. In fact, we delivered this event using the ULX-D systems in Standard mode. We didn't even have to move into High Density mode to get the channel count we needed — but it's great to have that up our sleeves if we need it." Shure Distribution UK (SDUK) was acquired by Shure Incorporated in early 2003 and is a wholly owned subsidiary of Shure Inc. While Shure Inc focuses on the manufacturing, marketing and distribution of Shure products, SDUK is a multibrand distributor serving its key markets via three dedicated divisions. The Retail division covers MI outlets and traditional music shops, the Pro Audio division handles broadcast, rental and touring companies, and the Systems Group serves integrators and contractors working on large-scale projects in the installed sound market. The SDUK portfolio includes products from Shure, QSC Audio, Radial, Equipson, Sound Devices, DIS, Servoreeler and Primacoustic. For more information, see www.shuredistribution.co.uk.